Federal officials have warned doctors that they may be subject to penalties if they persist in these practices and could be fined or excluded from Medicare. Some low-income Americans are eligible for both Medicare and Medicaid. When a doctor or hospital treats them they are legally prevented from billing them for deductibles or co-pays. However, there’s more. Medicaid, run by the states, is supposed to help pay these out-of-pocket costs (and the Medicare premium). However, by law Medicaid can set its own payment limit. To save money states may have Medicaid allowable fees less than Medicare in which case, no program pays the out-of-pocket costs and the doctor is the loser. In virtually all states these doctors could not bill low-income Medicare patients for the 20% co-insurance. Knowing this, is it unreasonable to assume that either doctors shun such patients or more likely have built this loss into the fees they charge other patients? Add to this the increasing number of non-Medicare patients with high deductible health plans and collecting fees must be a growing challenge for many physicians and other health care facilities. 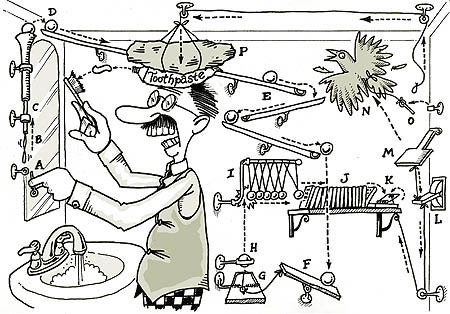 The U.S. approach to paying for health care can only be described as a poorly designed Rube Goldberg machine.